Therapists and health professionals are invited to participate in a 240 hour, year-long, graduate level online training in Compassionate Inquiry for personal and professional development. Would you like to increase your skills and effectiveness as a therapist or health provider, leading towards mastery? 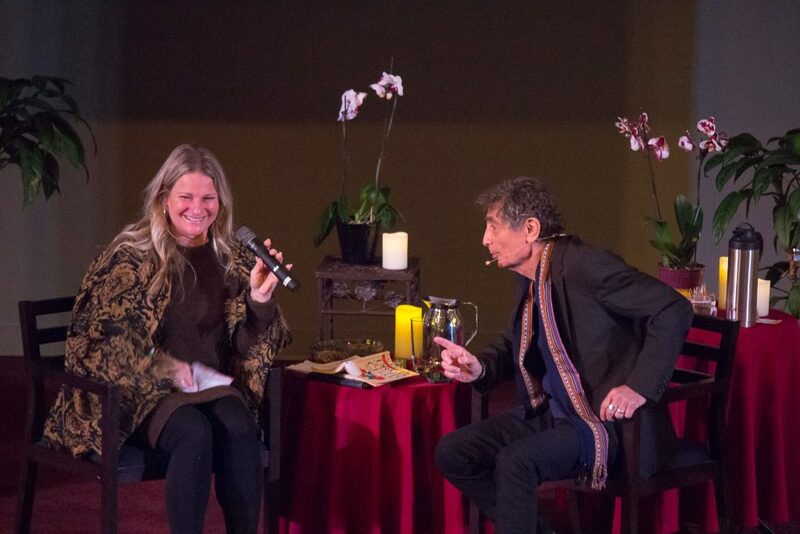 Have you been impacted by the teachings and modelling of Dr. Gabor Maté? Would you like to be part of an international community of Compassionate Inquiry Practitioners? Would you benefit from a year-long therapeutic peer support and practice group? Are you willing to spend 2-4 hours a week over the next year learning and practicing a new therapeutic modality? Regular group Zoom calls with Dr. Gabor Maté, for Q&A. The first 4 of these are scheduled for Thurs Jan 31, Thurs Feb 21, Thurs Apr 11, and Thurs May 16, 2019. Calls will be recorded and recordings emailed to you afterwards. Certification guidelines can be found here. CE Credits are pending and will be announced when available. Course Fee: $3500 CDN if paying in one payment; $3800 CDN if paying in 6 payments of $633.33 CDN. A limited number of subsidies are available for therapists, social workers, health professionals and others who work with clients and would otherwise be unable to afford the training. Applications for the April and August 2019 Compassionate Inquiry Professional Online Trainings will be accepted after Feb 1. Our goal is to bring compassion, respect, acceptance, insight, healing, freedom and connection to humanity through an international community of skillful Compassionate Inquiry practitioners. The Compassionate Inquiry Professional Online Training is an intensive graduate level certification program designed to enhance the skills and effectiveness of professionals already working with clients. Applicants must be professionals currently in practice so that the skills learned in this program can be applied and developed further throughout the year long training. Applications are approved on a case-by-case basis. Mental Health Professionals: psychologists, psychiatrists, psychoanalysts, psychotherapists, somatic therapists, hypnotherapists, social workers, counselors, marriage and family therapists, expressive arts therapists, addiction counselors, guidance counselors etc. Medical and Alternative Medicine Professionals: medical doctors, nurses and nurse practitioners, occupational therapists, physical therapists, chiropractors, emergency medical workers, midwives, acupuncturists, TCM doctors, naturopathic doctors, Ayurvedic practitioners, osteopathic doctors etc. Bodyworkers: massage therapists, shiatsu therapists, Rolfers®, Craniosacral and Polarity therapists, Feldenkrais practitioners, yoga therapists, etc. Others: educators, life coaches, mediators, clergy, chaplains, First Nations elders etc. Applications will be accepted for both the April and August programs beginning Feb 1. The application is to confirm your eligibility. There is a $50 non-refundable application fee. Once your application has been accepted, you will be invited to register and pay for the full program. Application and $50 fee due by: March 30, 2019. Applications received by March 1 will be reviewed first and given priority. You will be notified of your acceptance into the April program, and then will be invited to register and pay for the training by April 1. Registration Fee due by: April 1, 2019. Registration for the April training is closed on or after April 2, 2019. Application and $50 fee due by: July 15, 2019. Applications received by July 1 will be reviewed first and given priority. You will be notified of your acceptance into the August program by July 21, 2019, and then will be invited to register and pay for the training by August 1. Registration Fee due by: August 1, 2019. Registration for the August training is closed on or after Aug 2, 2019. A limited number of subsidies are available, with either 50% or 75% discounted from the course fee. Subsidies will be granted based on financial need, the type of clients you work with, and the economy of the country you live in. Subsidy applications will be available Feb 1 for both the April and August programs. Please do not apply for a subsidy unless you: 1) are committed and capable of attending the program you are applying for; 2) can pay the discounted rate for the course by the required date. Subsidies are not transferable from one course to another. The subsidy application process for the April program is now closed. You will be notified if you have been granted a subsidy by Tuesday March 12, 2019. You must confirm acceptance of the subsidy by submitting your $50 application fee for the program by Monday March 18. If you do not confirm acceptance of your subsidy by March 18, your subsidy may be offered to another candidate. Your course registration and payment is due by Monday April 1, 2019. There are no payment plans available to pay the subsidized fee. Registration for the April training is closed on or after April 2, 2019. The subsidy application for the August program is due by Sunday July 7, 2019. You will be notified if you have been granted a subsidy by Tuesday July 9, 2019. You must confirm acceptance of the subsidy by submitting your $50 application fee for the program by Monday July 15. If you do not confirm acceptance of your subsidy by July 15, your subsidy may be offered to another candidate. Your course registration and payment is due by Aug 1, 2019.There are no payment plans available to pay the subsidized fee. Registration for the August training is closed on or after Aug 2, 2019. This is an experiential program with a limited number of spaces available. Refunds requested up to 2 weeks before the course start date will be deducted a $100 cancellation fee. Refunds requested during the 2 week period before the course begins will be deducted a $200 cancellation fee. Refunds are allowed up to 2 weeks after the start date of the course. These will be deducted a $300 cancellation fee. No refunds allowed 2 weeks after the start date of the course.